The Ashokan Release Channel is being reactivated today at 15 million gallons per day (mgd) for community releases. The current release channel turbidity is 4.4 NTU. Ashokan Reservoir’s east basin is currently spilling over at a rate of 635 mgd. The combined spill and release rate will be maintained below 1000 mgd per the interim release protocol. The Mount Marion gauge is currently at 16.2 ft river stage and steadily decreasing to 14.9 ft for the forecast period ending May 22 at 8:00am. The Ashokan Release Channel flow was shut down today from 200MGD to 0MGD at 10:35AM per Interim Release Protocol as combined spill and release had reached 1 BGD. The release rate from Ashokan Reservoir will be increased from 100 to 200MGD this afternoon in anticipation of higher runoff. The turbidity of the release remains low at 2.6NTU. The Ashokan Release has been changed from 200MGD to the minimum community release rate of 15 MGD from the west basin. The turbidity of the release is relatively clear at 5.1NTU. The reservoir storage elevation target for May 1 is 100% and the reservoir is currently at 99.8%. 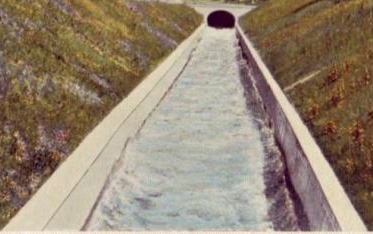 The Catskill Aqueduct diversion is 300MGD from the east basin. The release channel flow will be increased in anticipation of additional forecasted runoff, ramping up to 270MGD by 8pm on April 16th and to 500 MGD by 10:30am on April 17th. The target storage elevation for tomorrow is 97%, and the reservoir storage is currently at 97.8%. The quality of water being released is still relatively good at 5.2 NTU. 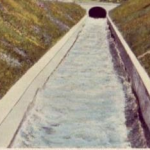 After releasing daily volumes between 100 million gallons and 400 millions gallons for several weeks, the release channel has been reduced to the seasonal minimum of 10 MGD. Total released in February was over 3.8 billion gallons, and in March over 5.2 billion. The reservoir level reached 82%, allowing an 18% void to capture potential snowmelt.